Harris, who went from district attorney of San Francisco to attorney general of California, was a heavy favorite in her 2016 Senate race. But once elected, she was expected to become a virtually powerless freshman senator in Hillary Clinton’s Washington. In fact, she might have been only the second most important person in Washington from her family, since her younger sister, Maya, was a top Clinton policy adviser on the campaign and in line for a senior White House job. But Clinton’s loss created an opportunity for Harris. 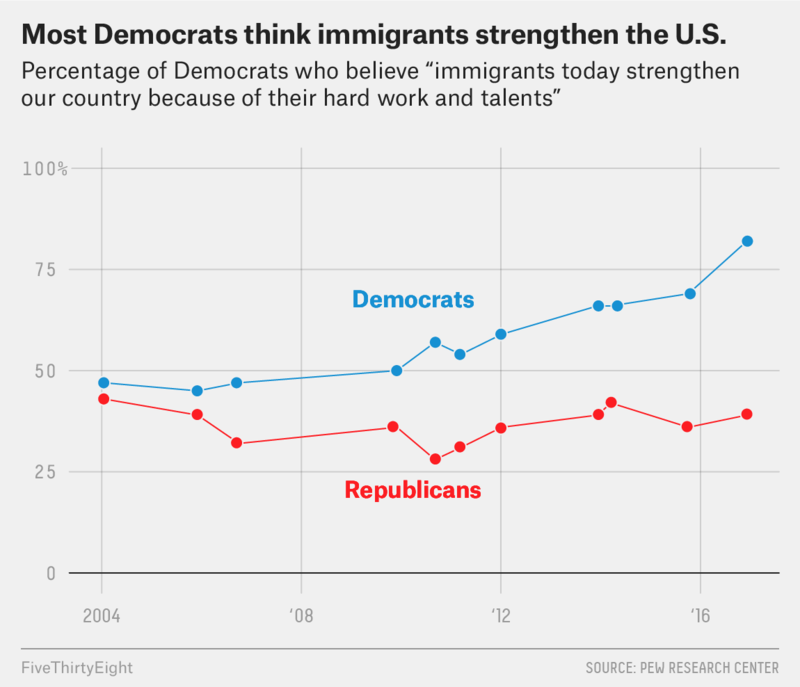 The Democrats had the normal leadership vacuum of a party without control of the White House but also a specific void of people who were well-versed in immigration issues and were willing to take the leftward stances on them that the party base wanted as Trump tried to push U.S. immigration policy right. Meanwhile, Biden and Sanders were not natural figures to defend Planned Parenthood when, as part of the repeal of Obamacare, the GOP sought to bar patients from using federal funds at the nonprofit’s clinics. African-American activists went from being deeply connected to the White House to basically shut out of it, as Trump had few blacks in his Cabinet or in top administration posts. And, electorally, while Sanders or Massachusetts Sen. Elizabeth Warren were obvious potential presidential candidates for the populist wing of the party that backed the Vermont senator in the 2016 Democratic primaries, the coalition of minorities and more establishment-oriented Democrats1 who had backed Clinton didn’t necessarily have an obvious standard-bearer, particularly with the uncertainty over Biden’s status as a candidate in 2020. Harris has seized the opportunity. From attending the annual civil rights march in Selma to pushing legislation that would get rid of bail systems that rely on people putting up cash to be released from jail, she has seemed to try to lead on issues that disproportionately affect black Americans and to position herself as their potential presidential candidate. She was one of the earliest critics on Capitol Hill of the Trump administration’s aggressive immigration policies, and her push for a government shutdown over the Deferred Action for Childhood Arrivals program delighted party activists (even if the strategy ultimately failed). Harris was among the first Senate Democrats to call for Minnesota’s Al Franken to resign amid allegations that he groped several women, and she has been a strong defender of Planned Parenthood. 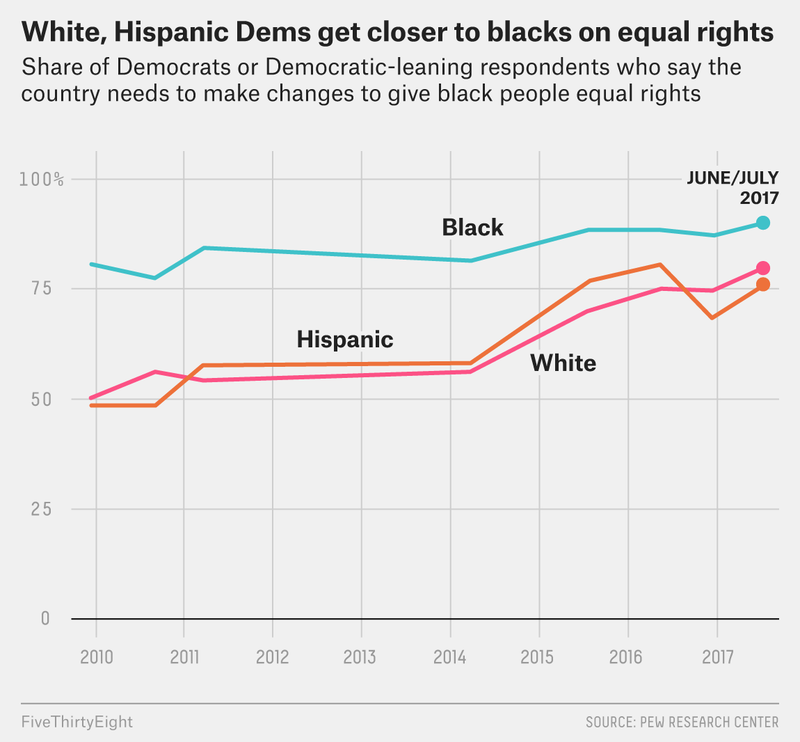 This is a bit longer than our normal Secret Identity column, so let’s skip “What else you should read.” But please contact me at perry.bacon@fivethirtyeight.com for your thoughts on this piece or ideas for upcoming ones. Self-identified independents who voted in the Democratic primary were very pro-Sanders.